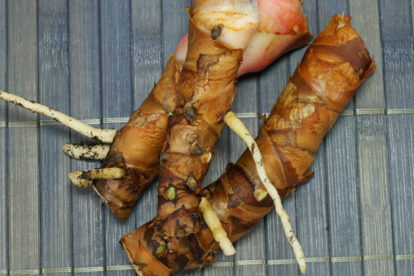 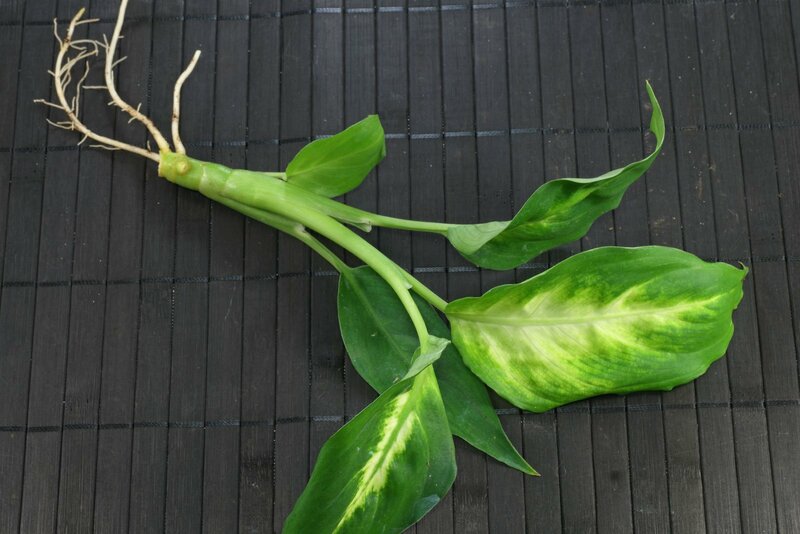 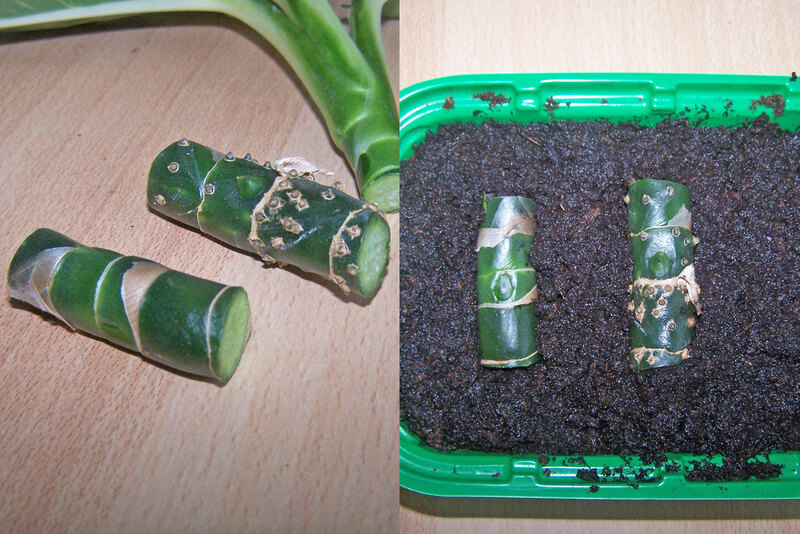 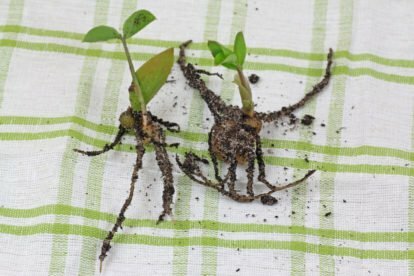 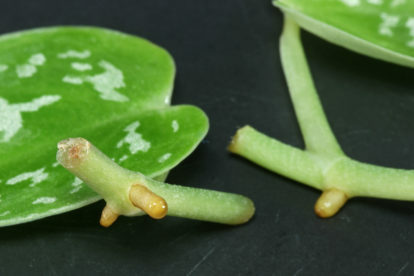 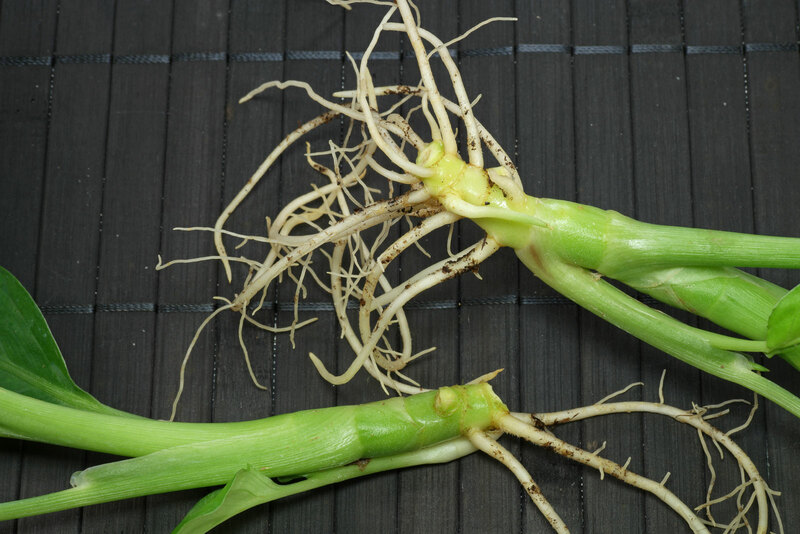 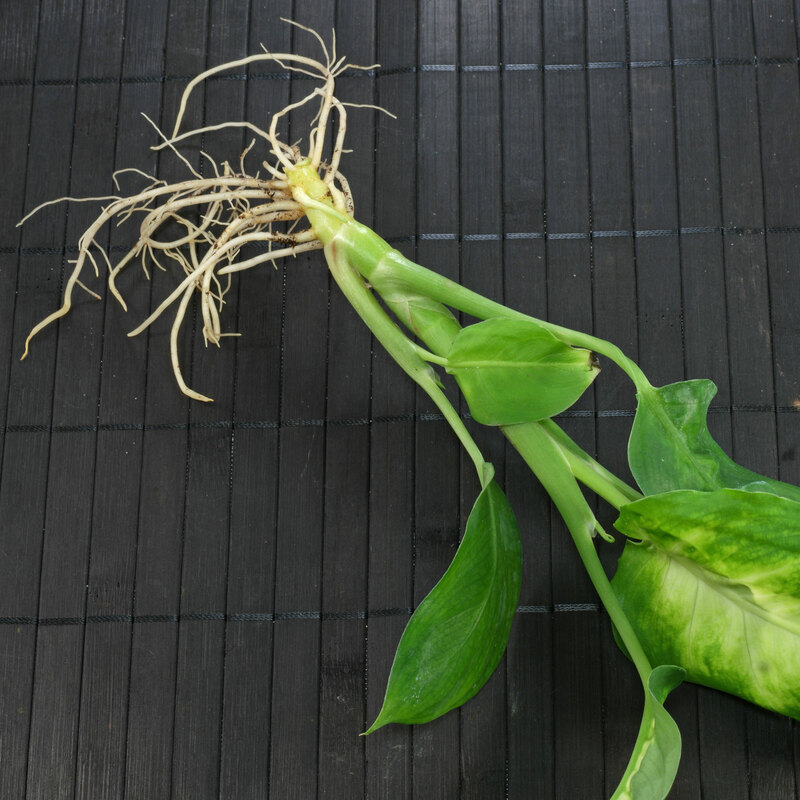 More infos: stem cuttings without leaves need high humidity to root. 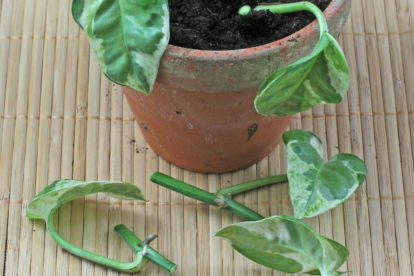 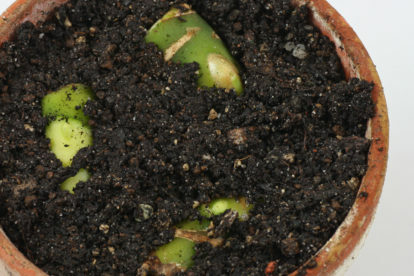 Place them in a indoor greenhouse or cover the pot with a freezer bag and air daily. 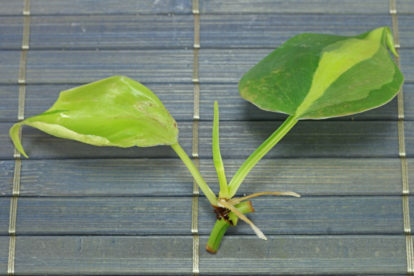 The images show a cultivar named Dieffenbachia “Camille”.